Analysis: San Antonio had a very poor fall season and have made drastic changes over the last six months, including the manager and seven to eight of the starting eleven. 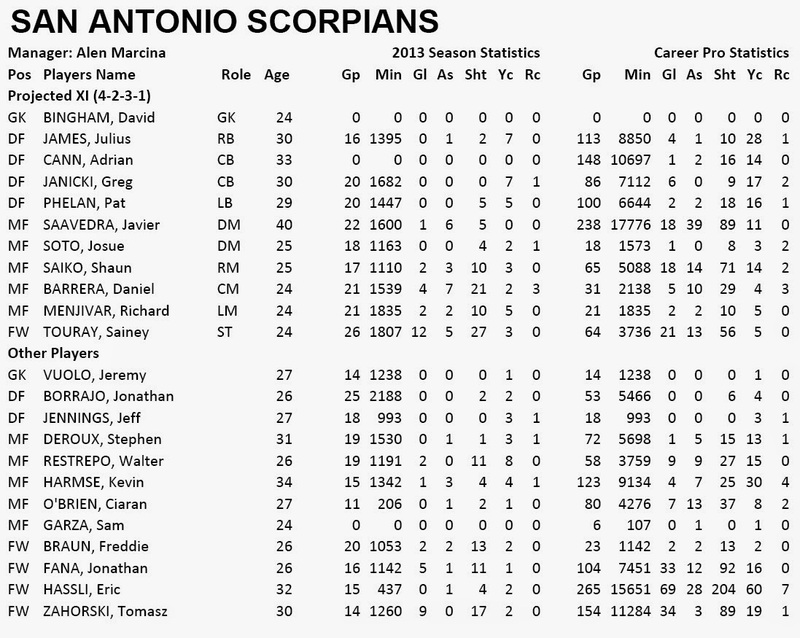 It's Canadian manager Alen Marcina’s first job, although to help him the Scorpions brought in midfielders Saiko, Barrera, Menjivar and Walter Restrepo; all players who I feel deserves a deeper evaluation regarding their MLS potential. They join Saavedra and former Chivas USA player Josue Soto in one of the most interesting midfield’s in all of North American soccer. The defense includes four former MLS players including Ex-TFC'ers Adrian Cann and Julius James, while Eric Hassli joined a forward pack that includes Touray, who scoerd 12 goals, and Zahorski’s 9 goals in 2013. 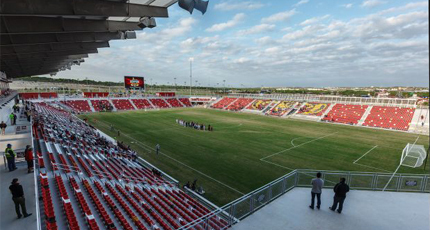 Like Ottawa, the biggest question for the Scorpions is how they gel as a club although I think they will be successful and show their MLS big brother how you can build depth on a budget.